While the beauty of majestic Myanmar is fresh in my mind after the last post, let’s talk about the art of the longyi. The longyi, or longi, or longee, (pronounced simply lon-gee), is basically a long wrap skirt made out of one big piece of cloth. It comes in every color and pattern imaginable, and can be found at any local market. They are worn by both men and women, and you will see the majority of the population sporting this look in Myanmar. It’s both a tradition that will make locals smile at you even more than usual, and a comfortable, respectful option in hot weather. Great for temples where legs and shoulders need to be covered up. You’ll have something to wear during your trip, a beautiful keepsake to take home, and most importantly, you’ll get a chance to interact with the warm and lovely locals. Markets are always one of my favorite places to visit when traveling, but try to avoid the super touristy markets if you can, and go to the ones where locals shop to catch of glimpse of the colorful and busy day-to-day life of local people. These ladies offered me one of their snacks, and asked for nothing in return. Smiling faces and laughs all around. 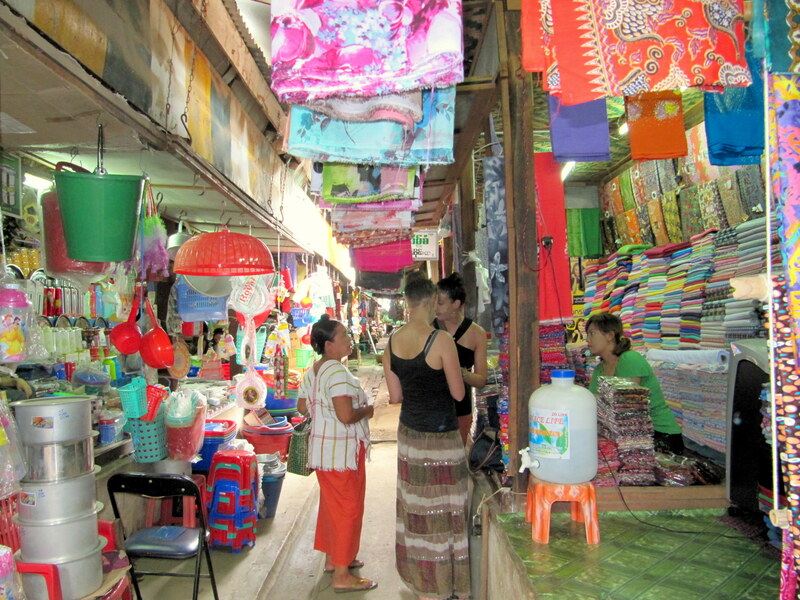 Negotiating prices is always a part of shopping in Southeast Asia. Definitely try to haggle, but go easy in Myanmar where the tourist industry is still very young. 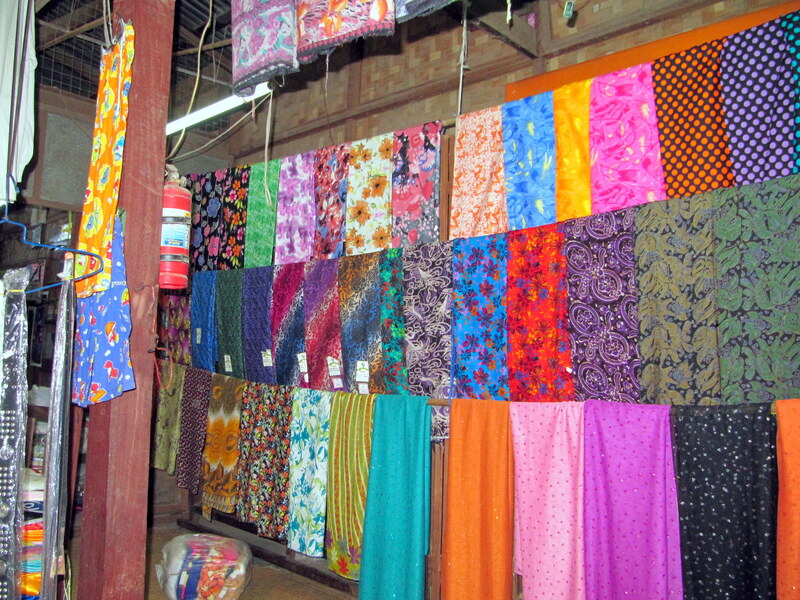 They like bright colors and bold patterns for their longyis here!